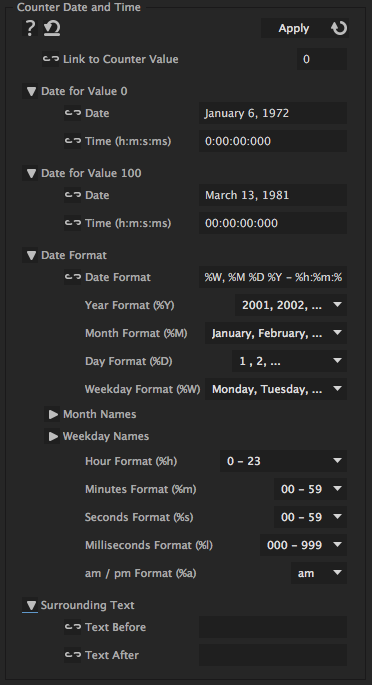 With this iExpression you can create a date string including time information and animate it over time. The date and time can be formatted freely. Simply link "Link to Counter Value" to a slider control and keyframe it to values between 0 and 100. Then you specify which date and time correpsonds to the value 0 and which one to 100. The iExpression figures out the date and time for all other values accordingly.